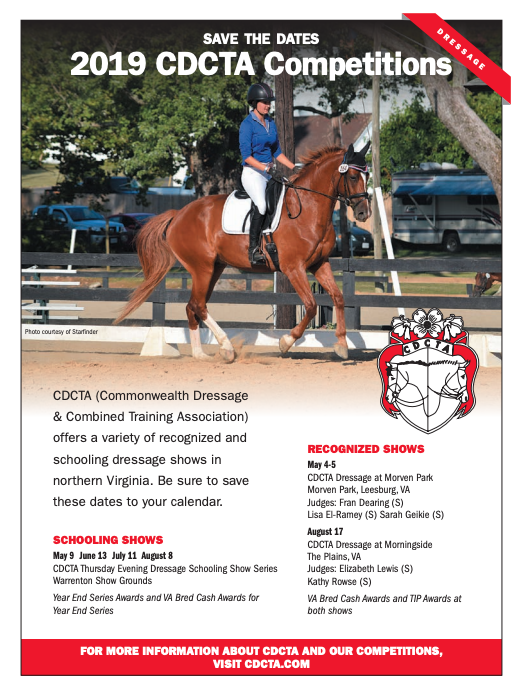 Home - Commonwealth Dressage & Combined Training Assoc. Welcome to Commonwealth Dressage and Combined Training Association! 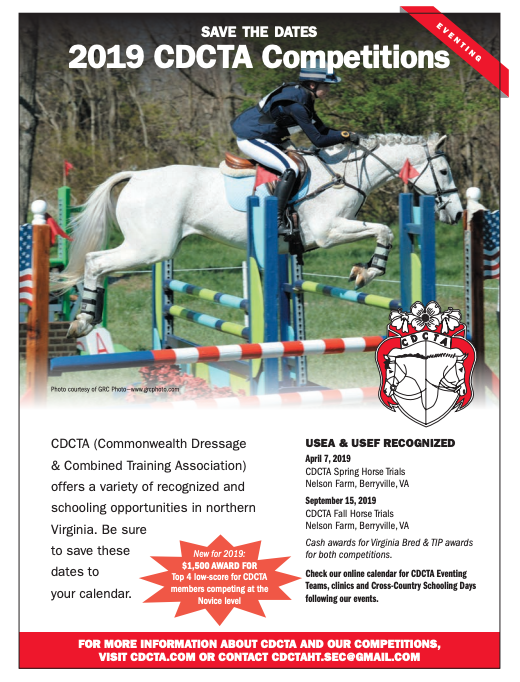 CDCTA is an affiliated Combined Training Association, a USDF GMO, and a 501(c)3 not for profit corporation, organizes two USEA Horse Trials per year, one spring and one fall. 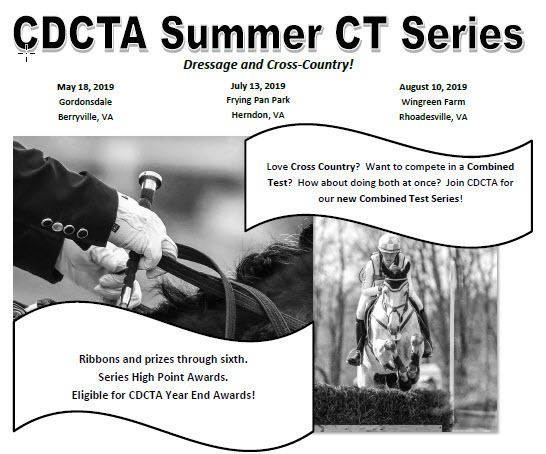 In addition CDCTA, with 200+ members, holds USEF Recognized Dressage Competitions, Clinics with nationally prominent clinicians, USDF Adult Rider Camps, Schooling Shows, Unrecognized Combined Tests, Cross Country Schooling Days and fields teams for Area and USEA Adult Team Competitions. We offer a range of member benefits including year-end awards program for its members, scholarships. and volunteer recognition for every participant at a CDCTA sponsored activity.